Sidney Organizes a Church of his Own. The melancholy catastrophe of the murder of Joseph Smith, the presiding President and Hyrum his brother, resulted in leaving one individual only known to the church as pointed out by repeated revelations, as Prophet, Seer and Revelator for the church -- viz. Sidney Rigdon. President Rigdon who was then in Pittsburgh received instruction from the Lord to repair to this place and present himself to the church for their acceptance or rejection; which actually did result in his rejection, and the appointment of the Twelve (by a large majority of the church) to the presidency of the whole church and its entire control. Verily believing as we do that this was a vital departure from the order of Heaven, and a rejection of the only man who sustained the legal relation of a Revelator to the church and who was competent to re-organize the First Presidency, we dissented and lifted our voices against such proceedings, and manifested our adherence to President Rigdon. In consequence of his rejection President Rigdon has received a commandment to reorganize the church; and for this reason the Twelve and their adherents have assiduoulsy studied and strived to misrepresent the character and designs of President Rigdon and his friends, and have not scrupled to assign to them motives and designs the most base and dishonorable. We do declare that President Rigdon is above all malevolent aspersions of his reputation, and is known to us as a law-abiding citizen and a gentleman of unblemished character. We do moreover declare our sincere conviction, that in rejecting Sidney Rigdon, the Church of Jesus Christ of Latter day Saints does no longer exist, except in connection with him; and that God has given no authority for an organization of the church differing from that contained in the Book of Doctrine and Covenants. Heretofore the accused has had the privilege of a trial and an opportunity to reply to the charges brought against them; but on the memorable 8th of September 1844, this privilege was denied in open and flagrant violation of all the laws and usages of the church; thus manifesting clearly to us that the course they pursued towards us is one unsanctioned by law and unallowed by justice. J. Hatch, and many others. By reference to the fourth paragraph in the above manifesto it will appear that Mr. Rigdon regarded and likely spoke of his church as the Re-organized Church of Jesus Christ of Latter-day Saints, and that the labor of re-organization was already far on the way by the 8th of September, the day on which he was expelled. In fact the circumstance that he had begun the labor of re-organization was the main charge upon which he was expelled (Mackay, p. 167). It has often been the fashion of schismatics from the Mormon fold to establish a church of their own; the church that was organized to swallow up all other churches has itself produced more different churches than almost any other of the like age in existence. The schism that went off under the lead of David Whitmer and Oliver Cowdery organized a new and "Pure church" under the name of the "Church of Christ of Latter-day Saints." The Anti polygamic schism which during the month of April 1844 departed from the fold immediately organized a new church of their own, with William Law as President and Chauncey L. Higbee and Dr. Robert D. Foster as Counsellors. the body which recognized the authority of the Twelve was not organized according to the revisions laid down in the Book of Doctrine and Covenants. He had better success in the task that he had taken in hand than was agreeable to the followers of Brigham and the Twelve; it is conceded by them that he "gathered out from the church many hypocrites and evil doers" (Juv. Inst., vol. 16, p. 35). He denounced Brigham and all his proceedings; he chose and ordained twelve apostles of his own and sent them forth; he made so much disturbance that Nauvoo shortly became too warm for him. 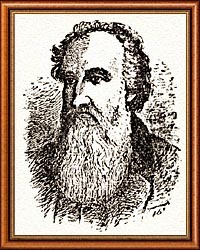 Retiring to Pittsburgh, Pennsylvania, he continued to send forth missionaries to labor in every branch of the church, who started a deal of noise and occasioned a deal of confusion; it was even given to him to capture the Stake of Kirtland from the "Pure Church" which had held it since 1837 and to re-baptize all the faithful there. Notwithstanding that raid he was understood to be on the most friendly footing with all the parties who had apostatized before him, especially with Oliver Cowdery and his people (Juv. Inst., 16, p. 46). The church that was founded by Law and his compeers were likely a trifle too radical to suit the views of Mr. Rigdon; the Nauvoo Expositor of which Foster was the editor continued to appear after the mob in Nauvoo had abated it as a nuisance, and from its stronghold at Carthage or some of the neighboring towns it was a means of sore trial to Brigham's defenders (Mackay, p. 192). his opinions as well as he was able in the face of the goodly number of obstacles that stood in his way. In the first place he was from the beginning as indolent as the circumstances would any way permit him to be; in the second place he had entered the youth of age and was beginning to feel a certain abatement of his force, and in the last place the ground was sadly preoccupied by numerous other schismatics who had gathered churches to follow their fortunes. Besides Whitmer, Cowdery, and Law, who have already been mentioned there were engaged in this amusement such persons as William Smith, a brother of the prophet, J. J. Strang of Michigan and Wisconsin; Lyman Wight and George Miller, as also James Collen Brewster. At length the enterprise of advancing the boundaries and influence of the Re-organized Church of Jesus Christ of Latter-day Saints began to show signs of waning and of retrograde. The Pittsburgh paper failed in due season, as might have been anticipated. Finally a second "Re-organization" was enacted in the year 1860 with Joseph Smith, the second, at its head, in which Sidney's church and party were practically swallowed up; in a word the present "Re-organized Church" may be considered in the light of a perpetuation and continuation of the Reorganized Church that has been founded by Mr. Rigdon. It is a singular spectacle to witness a son of Joseph Smith, who died as a victim of the cause of polygamy, lifting up his voice against polygamy and supporting the side of Law and Rigdon who triumphed over Joseph and destroyed him. to this history. He was quite down to the end a firm believer in the principles of Mormonism, feeling well assured that "where the Scriptures speak we should speak," and almost equally well assured that he was in a situation to pronounce within full the accuracy just "where the Scriptures speak." That anybody should have expected him to make a confession was entirely preposterous, for he had nothing that he wanted to confess. Comparatively early in the action he retired to the lovely village of Friendship, Alleghany county, New York. This county was early a stronghold of Mormonism, with churches at four or five different points within its limits. Here his excellent son-in-law, General George W. Robinson became a prosperous banker, and here Sidney eked out the remnant of his days with as much dignity as he could command in the midst of somewhat pinching poverty. Towards the close of his life he was regarded in the light of the patriarch of the village, whom everybody was in the custom of addressing by the friendly title of "Uncle Rigdon." He died (in the faith of the existing "Re-organized Church," most likely), on the 14th of July 1876. His descendants at Friendship and elsewhere do him much credit. It was not in vain that he so jealously guarded his family against the saintly lechery of Joseph Smith. regarded as important to undertake some studies in Egyptian literature with a view to defend the Book of Abraham. To accomplish that purpose some of the brethren were brought to review the Egyptian Book of the Dead, where by chance was discovered the existence and achievements of a God by the name of Athom (Reynolds, Book of Abraham, p. 17). Apparently the matter was brought to the attention of Brigham who without due consideration jumped to the conclusion that Athom, the God of the Book of the Dead was the same as the Adam of Genesis. It is suspected that he never ceased to regret the haste with which he announced the above named opinion. It will be remembered that a considerable period before his death Joseph had introduced the nonsense of ordaining men to occupy the station of "priest and king." Sidney appears to have improved upon that suggestion when he founded his church by ordaining certain persons to be not only "priests and kings," but also "prophets, priests and kings" (Mackay, p. 187). It is difficult at present to affirm to what extent that custom was carried. Beyond these two slight changes it is believed that hardly any other can be shown to have occurred either in the tenets or the practices of the Church of Jesus Christ of Latter-day Saints, since the day on which Sidney was delivered over to the buffetings of Satan. Policy of the American Government Towards the Mormons. It is a fine thing to speak where the Scriptures speak, provided you have wit and information enough to determine where the Scriptures speak. But the Mormons have never had either wit or information enough to determine just where the Scriptures speak. In attempting to perform that feat they have organized one of the most preposterous Theocracies that history gives any account of. This Theocracy is the most important fact that comes to sight in the annals of Mormonism; it is the source of all the distresses that they have hitherto experienced. Their Theocracy has always rendered it impossible for the Mormons to live at peace with their neighbors; it has nearly always been ready to challenge the civil state to a war of extermination; to push this war until they were hopelessly defeated, and then to raise the cry of persecution against those who in simple self defence were compelled to reduce to terms a haughty imperium in imperio. Members of the Theocracy have been almost necessarily hostile to the Government of the United States and to every other civil government. The hostility they have always felt still exists. Nothing could appease it but the complete destruction of all civil governments and the erection of the Theocracy upon the ruins of them. and treason. Neither is there any occasion to peer into the secrets of the Endowment House to obtain the exact form of the treasonous oaths that are said to be exacted there. The treason of the Mormons can be demonstrated beyond dispute by too many facts and incidents that are performed under open skies and in the presence of all the world. It is well nigh impossible that a correct Mormon should be a loyal citizen of any civil commonwealth. It may be conceded that they now and then make loud professions; but these protestations are entirely opposed to the constitution of the Theocracy and to the continual behavior of the Mormons. They may read well enough as they stand upon the pages of the Book of Doctrine and Covenants (Section 134), but they stand there in too close proximity to the excellent deliverance on "Marriage" which adorned the pages of the same volume for a series of years after the Theocracy was engaged in the full practice of Polygamy. At Boulogne-sur-mer in the year 1850 the existing President of the Church of Jesus Christ of Latter-day Saints held a public discussion in the course of which the topic of polygamy was broached, and he cited the above section relating to "Marriage" and boasted of it, although at that same moment he was the husband of five living wives at Salt Lake City (Stenhouse, p. 195). The Mormons are easily capable of making representations that will suit their purposes, even though these representations may not conform strictly to the truth. of the Government of the United States towards this insolent imperium in imperio, that has so seldom let slip an opportunity to display its rancorous opposition to the authority and the welfare of the country. Every Mormon by reason of his profession and connection must be regarded in the light of an enemy to all civil government, and it is proper and expedient that he should everywhere be treated as an enemy. It belongs to the province of experienced statesmanship to determine what particular measures should be employed to carry out the general policy of repressing and controlling the treason and enmity of the insolent Theocracy. In general the existing measures would seem to be appropriate; it is believed they will be sustained by all who are willing to render assistance to their country in the strife it must wage with some of its most implacable adversaries. It may however be suggested that hitherto no sufficient amount of attention has been given to the "gathering" that has contributed so much to increase the perplexities of the Mormon problem. Should that great tide of enemies and traitors against all civil governments be permitted longer to pour its dangerous contents into the bosom of our government? The Mormons levy a voluntary tax to form a "Perpetual Emigration Fund" by means of which they may transport these hostile legions to the western portions of the country: would it be feasible to levy an involuntary tax upon the Territory of Utah for the purpose of returning each of these traitors to the home from which he came forth? But it has sometimes chanced that Theocracies have learned by sad experience the art of behaving themselves and keeping away from the boundaries that are properly claimed by the civil government. Whether it shall be within the power of the Mormon Theocracy to learn that lesson is a question that cannot at present be decided. Their fanaticism has served to blind their eyes; their ignorance has prevented them from becoming rightly acquainted with the sentiments of mankind; their vulgarity has prevented them from respecting these sentiments where they chance to become acquainted with them; their poverty has prevented the growth of a conservative temper among them. But if by any process they should ever learn a decent respect for the sentiments of mankind, the strenuous policy that it now seems appropriate for the United States Government to observe should immediately be relaxed. It is the interest of the government to favor and foster loyal citizens on the one side, as truly as it is its interest to repress traitors and incurable malignants on the other side. An open hand, therefore, should be extended to any and all Mormons who may have truly come to perceive that they owe their first allegiance not to the Theocracy but to the Union of the states. Great pains should be employed to convince them that they are not molested on account of their religion, but solely on account of their bitter enmity and their active opposition against the Government.